I am always so busy as a wife and mother,which is a life long project. As the mother of five grownup girls and a busy husband who rely on me as their support system, it is tricky to carve out time to pursue my passion. I maximize both day and night and often sleep no more than four hours a night though I may indulge in a long weekend lazy break; however, I am predominantly up early and late to bed. It seems the only way to achieve my own ambitions. I am nonstop working on something; however, as long as I am happy I have no issues with this, it’s me and I love it! Champagne has long been one of my passions and seemed like a logical next step for me. I considered myself to be a kind of expert by experience. Over the past 30 years I have been drinking a lot of champagne especially , various types of wines too from all over the world, including champagne , wines , spirits and sparkling wine, I have certainly nearly tried them all. 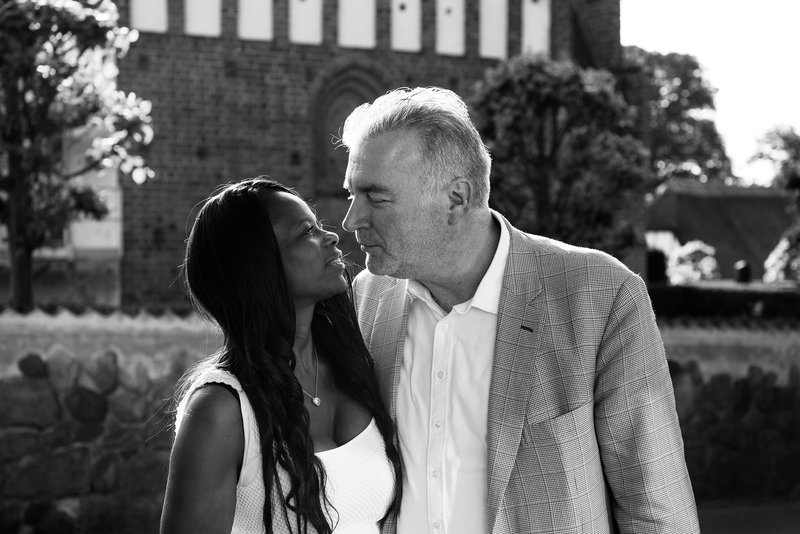 A past blog I wrote details of my love affair with champagne. 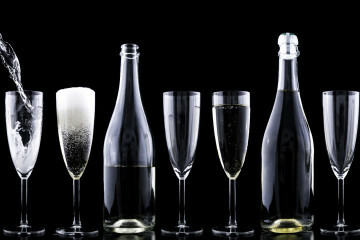 Champagne is easy going and allows you to remain sober longer on nights out as opposed to drinking spirits. My friends know that if we share a meal it is champagne all the way! And although I love to drink champagne, I was never interested in the label or being a connoisseur. My commentary was limited to “Oh its so sweet or yummy”, or “I like it only when it’s dry or the classic” catch phrase – Why are their so many bubbles in a champagne glass and you cannot see any bubbles in the bottle? All those girly chats from the past are long behind me now. These days; however, I am interested in the label! A serious look at the label will determine if I make the purchase. I like to invest time discussing the champagne before the bottle is opened. I am able to taste wine not just for the sake of drinking it, rather to access the integrity of the wine. 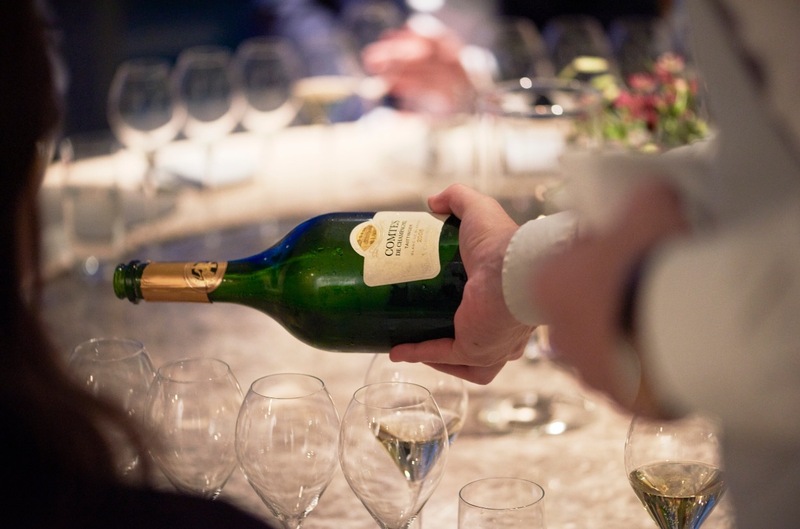 I can slurp and spit and make an educated decision as to the quality, style and taste of the wine, for me today champagne is just not a wine with bubbles, rather a complex aperitif with important values to it. 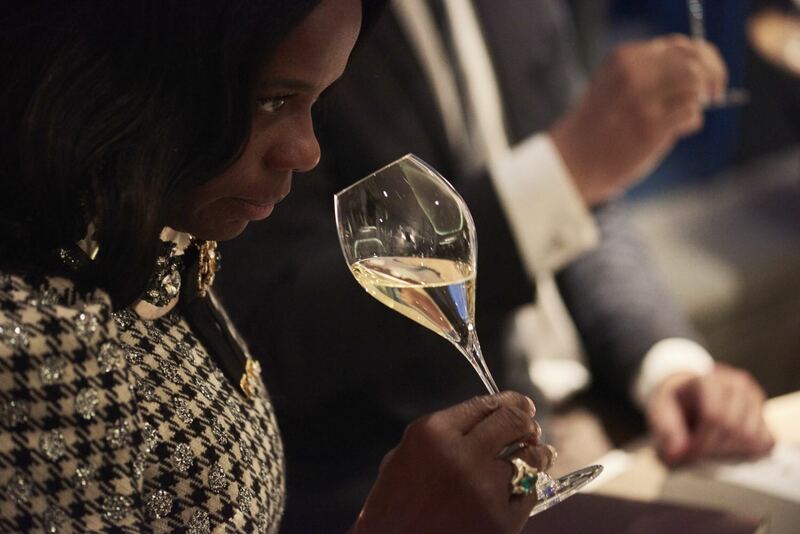 Through education , learning and watching , I recognize the hard work that goes into producing quality champagne from start to finish, which now influences the drink I pair with food when I serve at home or when I am out. I will go so far to say my mood is affected by these choices! The big news and culmination of a year in champagne is I recently completed my Third Exam in Wine and Spirits after a year of focused study. I am signing up for a Wine Diploma, a two year high level study on viticulture and vinification, wine and spirits processes. How an earth did I get from a simple weekend in champagne country in Reims last January to being qualified to discuss champagne, wine and its properties? 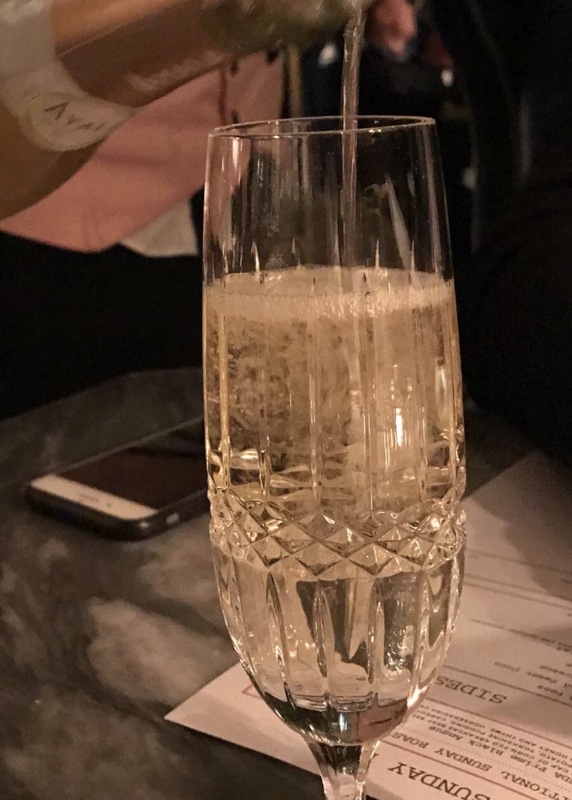 Having some acquaintances in the wine industry (whom I met coincidentally in Reims last year) I was kindly advised to at least understand wine as a basis and what I was drinking as it was a bit embarrassing to be consuming and making orders for the waiter to bring me a bottle of champagne. My cluelessness was a condition of not having invested the required time to gain necessary knowledge, and not a reflection of my ambition. I enjoyed champagne but lacked the education to understand it fully. I signed up for an online course in wines and spirits and systematically went through each course level online to prepare for the exam. I dedicated myself to intense private study at home for a year as well as group study wfor a total of a couple hundred hours before the exam. I made it through to Exam Level Three and in ten weeks will know if I will advance for the Wine Diploma at the London School of Wines & Spirits. 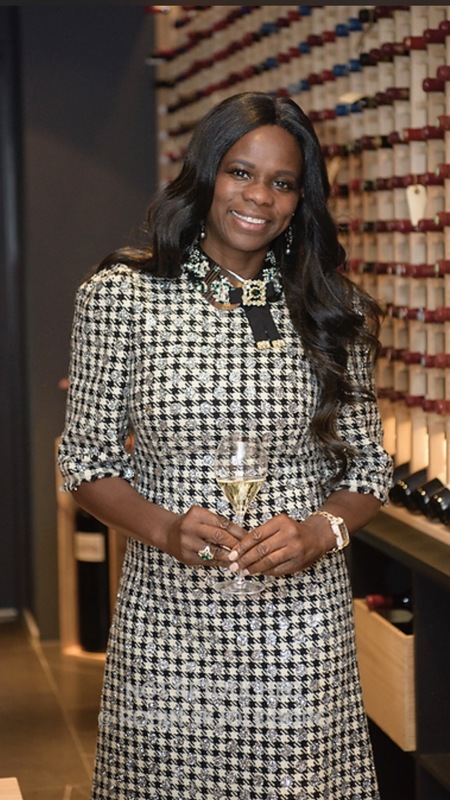 It has been a super year of meeting new people and making acquaintances in the wine industry; however, the year held some challenges and obstacles to overcome. I sought success by changing directions, not being afraid to ask, spontaneously meeting nice people, and never giving up even though my study times were effected by external annoyances. Champagne, wine, and food has been a great addition to my list of passions. 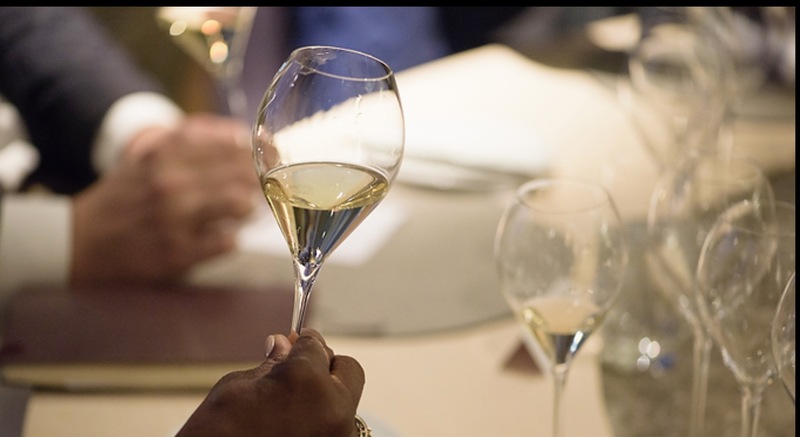 I invite you to join me as I continue to explore the possibilities of fine champagne, wine and food through visits to restaurants, meeting other champagne aficionados, and discovering the best of the best for all of us to enjoy! Organized winemakers dinners will be on offer. For those of you who cannot join me in person, I will post photos and videos on all my social media accounts such as ysclife on Instagram ysclife on Facebook, and Snapchat. 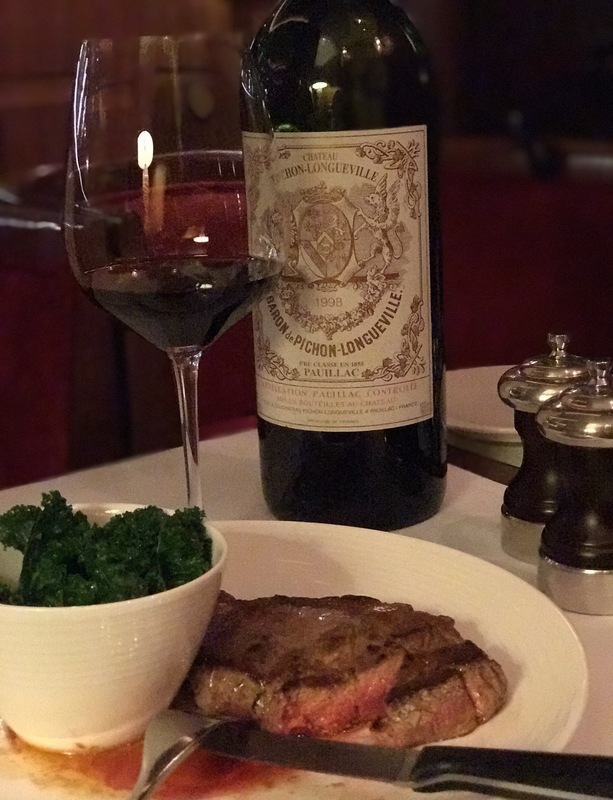 I will try to put you in a food and wine “pairing” mood, by sharing my food & wine stories with you. Even though you cannot see the future despite a good plan, everything is possible if you are open and receptive to new things. Dare to live out your passions! What began with a love for bubbly and the purchase of a plane ticket has become a vehicle for self discovery, the gaining of knowledge, and all kinds of possibilities for the future!